Gene Simmons, when interviewed by the Inlander last week, had this to say about his band's upcoming show: "Your girlfriend's been lying to you all these years, size DOES count, and we're bringing all of it." 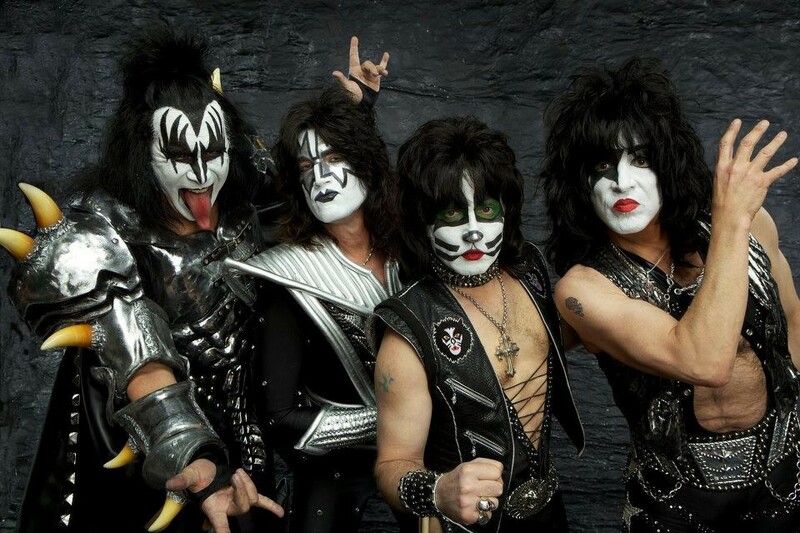 Bringing a little of that Detroit Rock City action are the aging, yet agile, KISS. Their wild show kicks off at the Arena starting at 8 pm with Caleb Johnson opening. Of course, we’ll be there too looking for the best fan duds, so don’t be afraid to show up dressed for success. The bigger the platform boots, the better. Read Dan Nailen’s interview with the one and only Gene Simmons right here. Rock on! Hitting the Gorge Amphitheatre for two nights this weekend is Phish. Anyone who’s read Nathan Rabin’s book You Don't Know Me but You Don't Like Me: Phish, Insane Clown Posse, and My Misadventures with Two of Music's Most Maligned Tribes, knows that going to a Phish show means hanging out with a bunch of folks who love the band more than almost anything else in the world. This is a four-piece rock group that hasn’t had many major radio hits, but through decades of playing highly creative and lengthy improvisational sets — each one different than the next, sometimes not turning out so well — they keep their fan base coming back for more unique shows. Three years ago, when Phish was last at the Gorge, we wrote a think piece about the similarities between Phish and baseball fans. Read that here. A free outdoor show featuring awesome local talent? Yes, please. Starting Saturday at noon the South Perry Street Fair (not to be confused with Perry Street Shakedown) brings in the likes of Marshall McLean Band, Silver Treason, Delbert the Band (coming out of retirement for this weekend and the upcoming Gleason Fest), Super Sparkle, Little Wolf and Grooveacre. This community celebration includes more than 80 vendors and a multitude of activities. Check out the schedule right here. Seattle-based indie-rock group the Cave Singers come back through the Bartlett Saturday. The band, which includes former members of the post-punk act Pretty Girls Make Graves, is now back in its original form as a three-piece. The show starts at 8 pm and is $17 at the door. James Taylor is comes to the Spokane Arena Saturday. He’s seen fire and rain, and now you can hear him sing all about his experiences for a mere $65 or $85. Check out one of his songs below that’s actually pretty worthwhile.